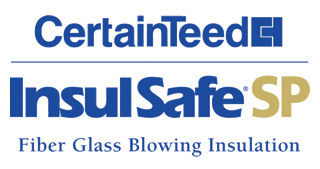 This Attic Now Has Blown-In Cellulose Insulation Along With Proper Ventilation – Courtesy Of Thunderstruck Restorations LLC. 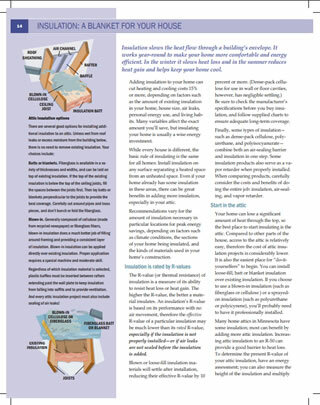 Is Your Attic Properly Insulated And Ventilated? Often the last place a homeowner is going to think about for home improvement is their attic. You don’t spend any time in the attic, nobody sleeps there, you don’t entertain guests there, so why would you even consider some improvement projects for it? It sort of seems like a waste of time and money doesn’t it? Well… Doing an upgrade to your attic is actually one of the most affordable (and very effective) home improvement projects a Minnesota homeowner can do. There is no question we have cold winters in Minnesota with temperatures sometimes dropping well into the sub-zero range for months at a time. Adding upgraded insulation to your attic (and ensuring it has proper ventilation) goes a long way in making your home a more comfortable place to live throughout the winter and it can also work to reduce your overall energy bills. It’s a win/win right? 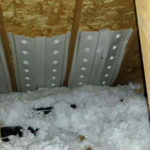 Well, there is another benefit to proper attic insulation and ventilation too and that is a reduced chance that your home will suffer from damaging ice dams, which as a roofing contractor, we are called to fix, every single year without fail. Most of the time, the issue could have been prevented. Your attic is considered an “unconditioned area” of your home which means that the inside temperature and humidity of your attic should be similar if not the same as the outside air. 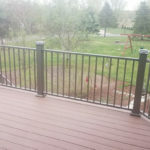 If it’s not, then you’ll begin to have problems with condensation build-up, which can lead to mold and a host of other problems you just don’t want. Your attic is also the place where the majority of heat escapes your home, as you know hot air rises. Having proper insulation in place can help your home retain that heat and in the summer it has the opposite effect, keeping the heat from the sun beating down “out” of your home and having a cooling effect. The attic is the area in a home where the most heat loss occurs, which is naturally why it’s the best choice to start when upgrading the insulation in your home. Different Styles Of Attic Ventilation. As mentioned prior, without proper ventilation your attic becomes an area that is prone to developing condensation problems. All of the daily activity in your home produces moisture in the air through showering, baths, washing your dishes (think of all that steam when you open the dishwasher after a cycle), doing laundry, and more. All of that excess moisture must exit your home somewhere or it develops into condensation. To prevent condensation from accumulating and building up, we need to ensure your attics temperate and humidity is very close if not the same as outside. 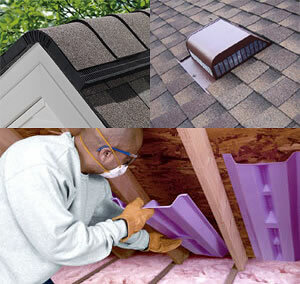 We do that through the installation of proper attic ventilation. How Much Attic Ventilation Does Your Home Need? This is a really good question we are often asked by homeowners and the answer is… “it depends”. The amount of ventilation your attic needs depends on the size of your attic. The industry standard is generally one square foot of attic venting for every 150 square feet of attic space. The ventilation must be distributed evenly throughout the attic using vents that are specifically designed to vent the air through your soffit vents (on the underside of your roof overhang) or you may require other vent styles depending on the type of roof you have. 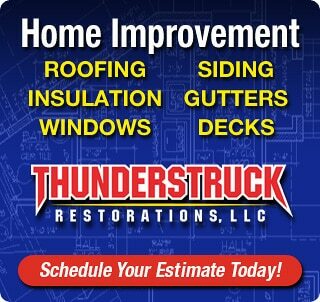 If you are unsure if your home has adequate roofing and attic ventilation you can always give Thunderstruck Restorations a call and we’d be happy to arrange a consultation. Most modern homes have proper ventilation in place already but if your home is 30-40 years of age or older, there is a good chance it doesn’t. We often run into homes from time to time that just had poor venting installed as part of it’s original construction. We usually discover the problem when we are called out to repair the damage caused by an ice dam. We can repair poorly ventilated attics by installing the proper ventilation where it is needed. If you want a comfortable home with good indoor air quality proper attic insulation can help out immensely. When condensation occurs, mold is soon to follow and this can destroy the air quality in your home, contributing to a whole host of health problems. If you or your family members have respiratory problems you really don’t want a mold problem in your home. A simple test any homeowner can do when the snow falls is to simply take a look at your roof after the snow has been falling for a few days. If the snow on your roof is melting in patches this can be one of the signs that the heated air from your home is escaping into your attic. The snow melting in patches is due to inadequate insulation in your attic. This causes the snow to melt where the hot air is rising up through the attic. This melting snow runs down your roof where it often refreezes again just above your gutters. This is action is the primary cause for ice dam build-up. For an explanation on R Value see this post we made. The insulation used in your home or any building is rated by measuring the resistance the material has to the movement of heat. This measurement is referred to as the R-Value. A higher R-Value means the insulation is more effective at retaining heat and is generally a better option for your home. There are local building codes in Minnesota that can vary from county to county that determine what the R-Value of your insulation should be in the various areas of your home. If you’re tired of having a chilly house or you’re afraid to turn up the thermostats because of the electricity bill you may benefit from upgrading your attic insulation. We’re happy to provide you with a FREE consultation this winter to see if your home would benefit from installing insulation in your attic. 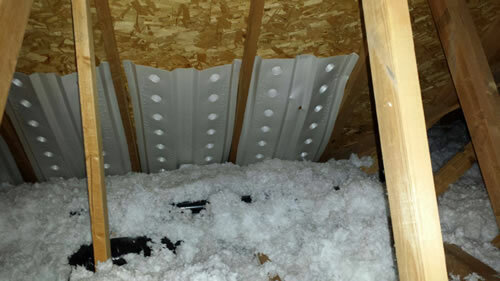 We install attic insulation throughout Anoka County, Chisago County, Hennepin County, Washington County, Dakota County, Ramsey County, Wright County, and Minneapolis.